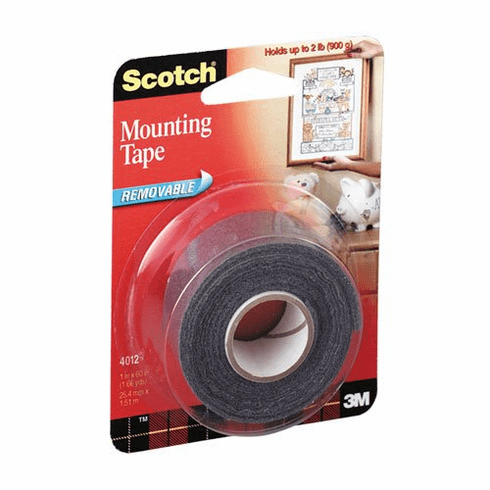 Scotch brand removable mounting tape features a versatile adhesive that holds paper products securely but is still easy to re-arrange and remove. Great for temporary projects and layouts. You can even write on it! Matte finish. Photo safe. Sticky on both sides. Use on wood, ceramic tile, gloss and semi-gloss painted walls, glass, and fridges.